Stop !!! You just found your home with BRAND NEW ROOF on OVER a 1/2 acre land with water view (pond). That's right !! 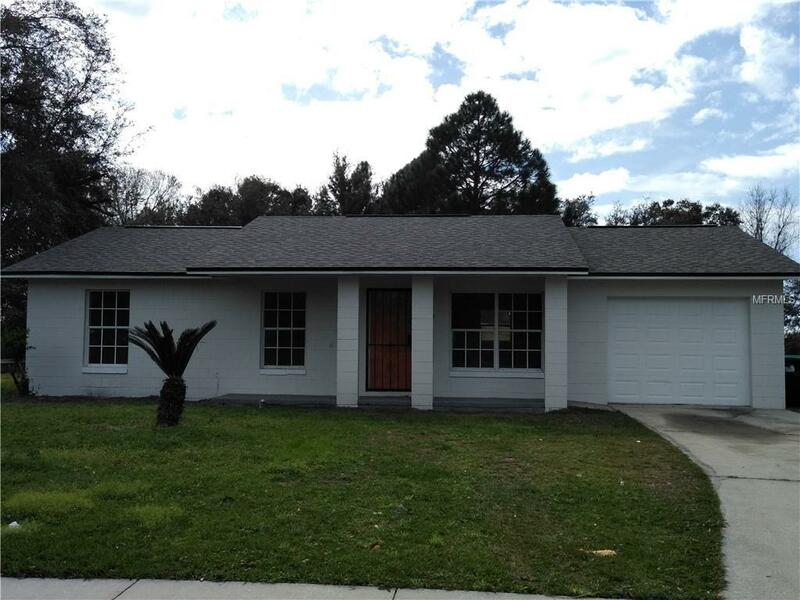 This is a renovated, 3 bedroom, 2 bathroom home with new 12x24 ceramic tiles, new partial kitchen cabinets, countertops, replaced appliances, new painted inside & outside, new baseboards, remodeled bathrooms with new vanities & ceramic walls. The water well system is completely brand new. You also have the convenience of a car garage with a brand new garage door and frame. Only minutes away from main HWYs, shopping district and the beautiful city of Mount Dora. Don't miss out on this opportunity ! !